Can rheumatoid arthritis or the medications taken for RA cause teeth problems or other issues with dental health or oral hygiene? There are many ways that rheumatic diseases like rheumatoid arthritis can be linked with dental problems. Rheumatoid arthritis, along with other forms of arthritis, can affect the jaw. If the jaw joint is flaring and inflamed, it may make opening the mouth wide enough for flossing or teeth-brushing to be difficult. RA can, of course, affect the hands and wrists, which may also make flossing and brushing more difficult, painful, and tedious. Consider buying an electric toothbrush or another kind of adaptive toothbrush and/or floss aid to help with this issue. RA often affects salivary glands, causing inflamation and dryness. Sjorgren’s syndrome, among other things, the combination of dry eye and dry mouth (xerostomia) and Sjogren’s is common in patients with RA. Medications or oral rinses may help with dry mouth, as well as staying hydrated. An Australian study published in the June 2001 issue of the Journal of Periodontology reports a strong link between periodontal disease and RA. The authors believe the two diseases result from a poorly regulated immune system, but that RA medications won’t help with periodontal disease and may require different treatment. “Research studies show a strong connection between RA and gum disease, an inflammatory condition that can lead to tooth loss. A German study published in the Journal of Periodontology showed that people with RA had more gum disease than people without RA — in fact, the RA patients had eight times the odds of developing gum disease. And a report presented at the 2011 European League Against Rheumatism meeting found that of 95 patients with rheumatoid arthritis studied, 18 percent had severe periodontal disease and 32 percent had moderate periodontal disease. By comparison, about 10 to 15 percent of adults without RA have moderate to severe periodontal disease,” says Everyday Health. “In fact, another study also published in the Journal of Periodontology showed that when people with a severe form of rheumatoid arthritis cleared up their gum disease, their pain and other arthritic symptoms got better.” It is not clear if the reverse is true. Inflammation in the body from arthritis can also lead to inflammation of the gums. Periodontitis is one such condition. Periodontitis is a chronic inflammatory disease of the gum and surrounding ligaments and bones that hold the teeth in place. In some studies, RA patients were nearly eight times more likely to have periodontal disease compared to control subjects. People with periodontitis also have higher blood levels of an antibody that has been associated with more severe, damaging RA than do people with healthy gums. On his blog, RA Guy discusses the fact that, after extensive dental work, his RA symptoms flared. Some studies show that there is a detrimental effect of oral health in children and young people with JIA – Juvenile Idiopathic Arthritis. Some children with JIA have “Bird Face Deformity” in the jaw area, also known as temporomandibular joint ankylosis. Arthritis can affect your jaw joints which can make it difficult to chew your food or talk. 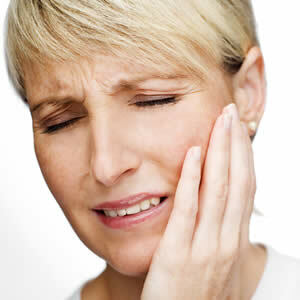 Fibromyalgia Dental Flare can occur with routine dental work or having teeth cleaned. Arthritis Today discusses that, here. Find more information about oral health and dental problems associated with arthritis here or here. Hopefully, your dentist will be familiar with arthritis and its risks and complications. Also, your doctor or pharmacist may be able to talk with you about oral side effects of some medications. If you do have dexterity problems with caring for your teeth, do consider finding other options to make it easier — as poor dental health is also linked with heart disease. Tags: Arthritis Ashley, Arthritis Foundation, Arthritis Today, Ashley Boynes-Shuck, bird face, Bird Face Deformity, brushing teeth, caring for teeth, chronic pain, Dental, dental flare, Dental Health, dental pain, Dental Problems, Dental Procedures, Dental Work, Dentistry, dexterity problems, Disability, dry mouth, EULAR, European League Against Rheumatism, Everyday health, fibro, fibromyalgia, Fibromyalgia Dental Flare, flossing, FMS, gum disease, gum inflammation, gums, hard to brush teeth, Health, healthy gums, heart disease, Human Body, inflammation, Inflammatory Disease, jaw, jaw pain, JIA, joint pain, Journal of Periodontology, Juvenile Arthritis, Mid Atlantic AF, Mid Atlantic Region, mobility issues, OA, oral care, Oral Disease, Oral Health, Oral Hygiene, Oral Problems, oral thrush, Osteoarthritis, periodontal disease, periodontitis, Periodontology, RA, RA Guy, Rheum, Rheumatoid Arthritis, Rheumatoid Arthritis Guy, rheumatology, side effects, Sjögren's Syndrome, sjogren's, Teeth, temporomandibular joint, temporomandibular joint ankylosis., TMJ, Tooth Health, types of arthritis, Wellness, xerostomia, Yahoo Voices Health. Bookmark the permalink.